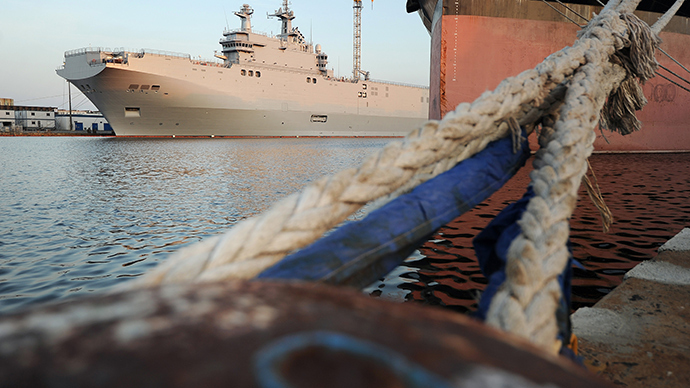 Russia’s communications minister has reportedly called for sectoral sanctions against French-based communication companies in reply to the scuttled delivery of Mistral warships. Space-related entities are likely to suffer the most. In a letter to Russian Deputy Prime Minister Dmitry Rogozin, who supervises defense-related policies, Nikolay Nikiforov proposed the issue of a “directive instruction” to state-owned Russian Satellite Communications Company (RSCC) to break off relations with European satellite provider Eutelsat SA, headquartered in Paris. According to Izvestia daily, which claims to have obtained a copy of the letter, Nikiforov has put forward a proposal to suspend leasing to Eutelsat, world’s largest provider of space communications, capacities of Russian communications satellites Express-AM6, Express-AMU1, Express-AM22 and brand new satellites Express-AT1 and Express-AT2 launched in March 2014. The total value of contracts between RSCC with Eutelsat has reached €658.9 million. Nikiforov also proposed to forbid the RSCC to buy a 4.8-billion-ruble ($80 million) Express-AMU2 communication platform from EADS Astrium, which also has headquarters in Paris. 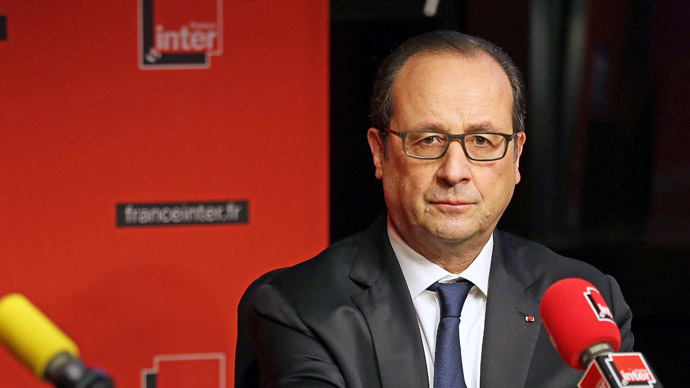 The press service of the Ministry of Communications has made no comments on the issue. The RSCC told Izvestia that this information is not public and has not been discussed with the company. 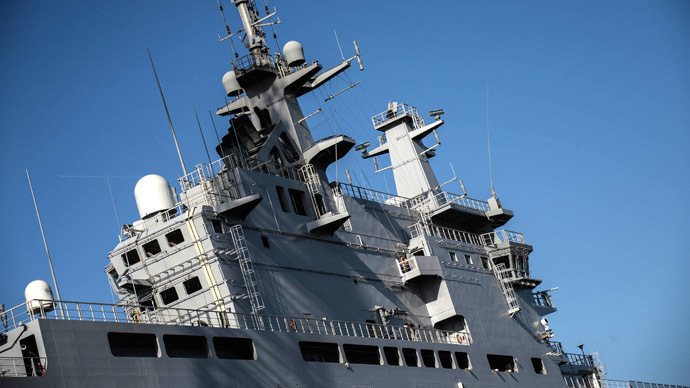 RSCC’s business development deputy director, Ksenia Drozdova, commented that this letter might be “an emotional reaction” to the challenges Russia’s has been facing. Drozdova said that any contract suspension would cause inevitable legal argument, loss of credibility for RSCC, which currently has clients in 51 countries and a considerable global market share in space communications. The Moscow office of EADS Astrium gave no comments to Izvestia, while no additional details came from the Eutelsat either. The majority of experts from Russian Military Industrial Commission have spoken against Nikiforov’s proposal, a source within national space agency Roscosmos told Izvestia. Among the critics of technological confrontation with Europe is Roscosmos’ chief Igor Komarov. He also wrote a letter to Dmitry Rogozin, in which he highly negatively described the consequences of actions against European partners. “The Eutelsat operator is a commercial, not a government entity, therefore the unilateral termination of contracts with it by the Russian companies will not result in a significant impact on the policies of the EU member states,” Izvestia cited Komarov’s letter. Among other reasons Roscosmos head mentioned packages of Russian TV channels being aired in the European part of the country via Eutelsat satellites. Igor Komarov pointed out that the Russian space industry prefers to buy space communications equipment from such European companies as EADS Astrium, Thales Alenia Space etc. Termination of the contracts with European partners could cost Russian space industry €750 million plus fines and cause serious drawbacks in space program execution. There have been no comments on the matter from Deputy PM Dmitry Rogozin. 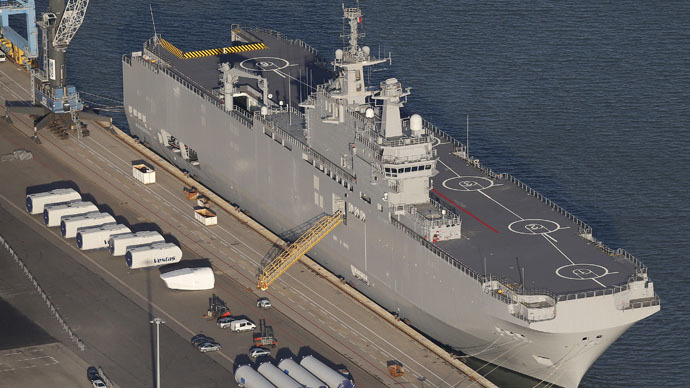 In June 2011, Russia and France signed a €1.12 billion ($1.6 billion) contract for the building of two Mistral-class helicopter carriers. 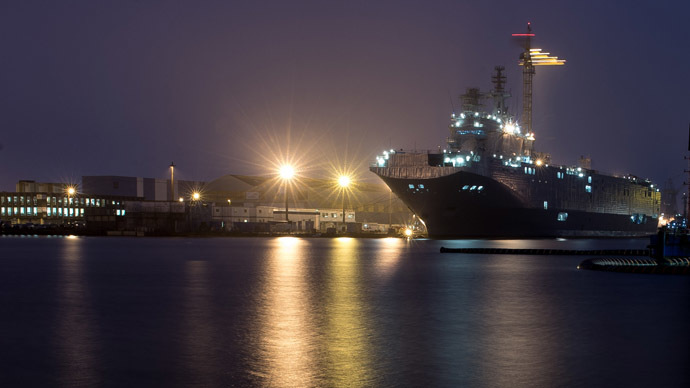 Each carrier can accommodate up to 30 light helicopters (or 16 heavy aircraft) in its hangar and on deck, and carry up to 450 combat troops (or 900 for short missions) in addition to the crew, complete with amphibious transports, armor and a command center. 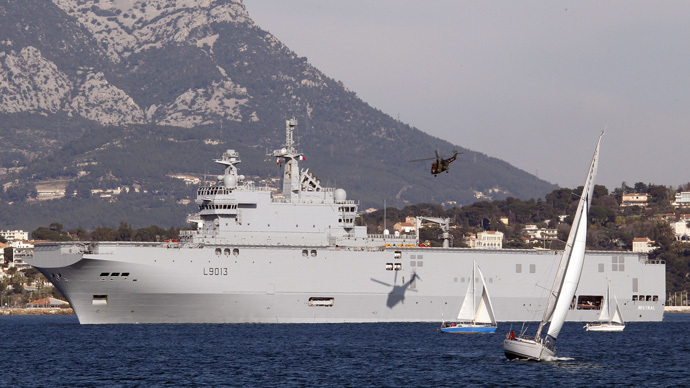 The delivery was due to take place in late 2014 and 2015, but has been postponed due pressure on France by the US and EU, which imposed several waves of sanctions against Moscow over its accession of Crimea and alleged involvement in the crisis in Ukraine.